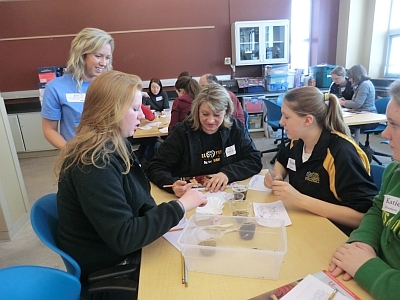 One of the events scheduled for Engineers Week 2015 at Michigan Tech is “Engineering Exploration Day for Girls.” It was open to girls in grades 7 – 12 and their parents and was held on Saturday, February 21 from 9:30 am – 1:00 pm at Michigan Tech’s Great Lakes Research Center. 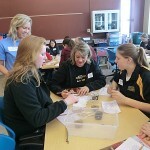 The young women and their parents celebrated Engineers Week and came find out what engineering is all about! They tried some fun hands-on activities led by women engineering students at Michigan Tech and discovered why the LOVE engineering!